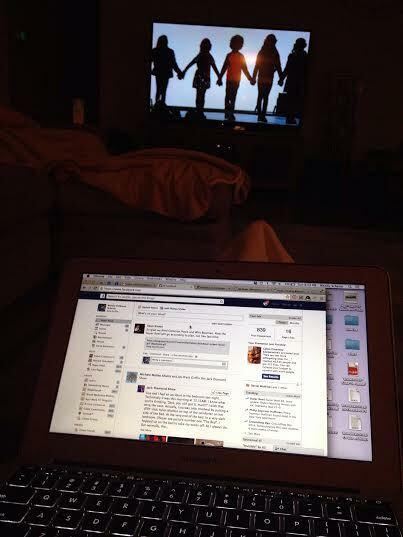 As you can see, I’m sitting here with my laptop and the big game is on. Well, actually , it’s the start of the halftime show. Oh wow, I feel like I’m live blogging! I am totally fascinated with the connectivity of this night. I am always flipping to see what’s going on on Twitter, Instagram, Facebook, etc. Tonight even more than usual, there are people working the angles – the ads, the monitoring, the marketing strategy. Lots of folks are vying for the expert position. Truth be told, there are so many really smart people in my stream. I think y’all are brilliant and awesome.